Mix the above flour mixture and set aside. Prepare one cup buttermilk and add an egg, combine well, set aside. 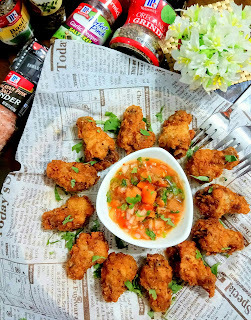 Dip chicken in buttermilk, then coat with flour mixture, and into the AF or deep fry in oil till golden brown. Serve and enjoy!